Arthur S. Moreau, III has extensive experience counseling clients and negotiating and litigating business related issues, with an emphasis in real estate, land use, construction, and products liability. Mr. Moreau counsels and assists his business clients on a variety of legal issues, from entity formation to deal analysis and contract development. Drawing on his years as Executive Vice President for a Newport Beach based developer, Mr. Moreau has a big picture perspective, business acumen and experience to act as outside general counsel for a number of his business clients. In a litigation context, Mr. Moreau leads a team of skilled litigators from case intake through trial and appeal. Mr. Moreau represents a wide variety of real estate professionals, including developers, brokers, appraisers, mortgage lenders, banks and title companies. He also represents a broad spectrum of both residential and commercial construction professionals, including design professionals, subcontractors, general contractors and developers in litigation and arbitrations. A California native, born in Coronado, California, Mr. Moreau was a Navy carrier pilot prior to becoming a lawyer. He has been licensed to practice law in California since 1993 and in Washington, D.C., since 1996. 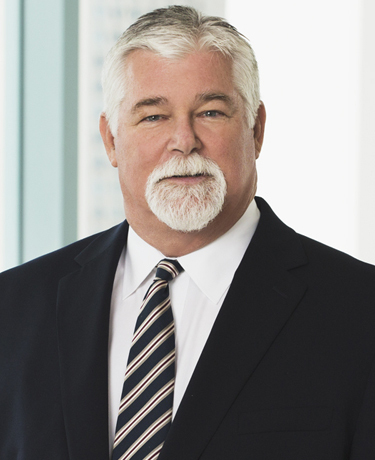 Mr. Moreau has been a shareholder in the firm since 1998. He has been licensed to practice before the United States Supreme Court since 1999.